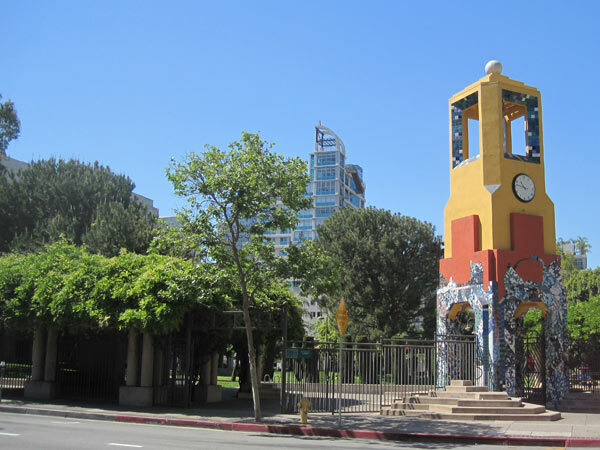 Completed in 1993 with The Jerde Partnership architects, the 2.5 acre park anchors the southern end of the Los Angeles Open Space Network and serves as a gateway to the South Park residential, cultural, and commercial district. The park’s plan also incorporates a campus for the Fashion Institute of Design and Merchandising. 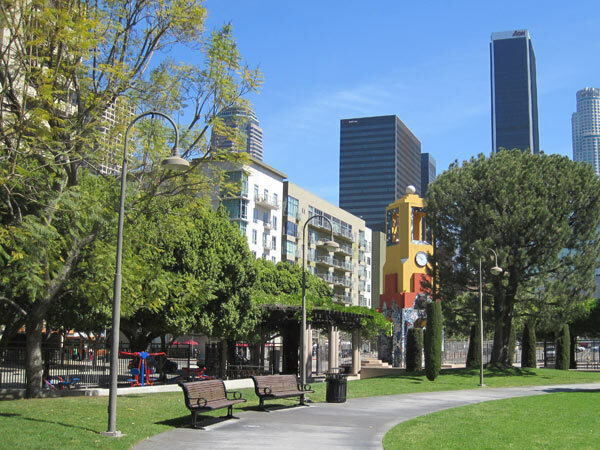 Unique among the Open Space Network projects, this park’s client was the Community Redevelopment Agency. 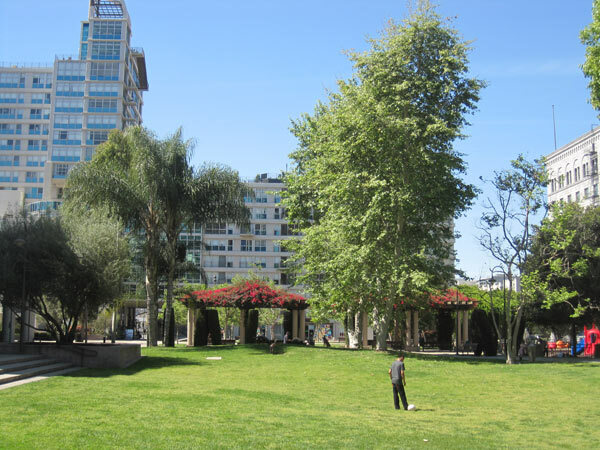 At the time of its opening it was thought to be the first major park built in downtown Los Angeles since Central Park (now Pershing Square) opened in 1870. 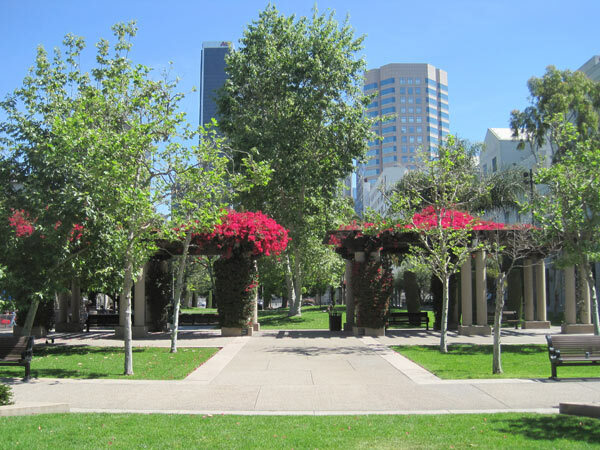 The center of the rectilinear park is occupied by a large lawn with a curvilinear path and edged by vine-covered pergolas, a children’s playground, and public art. 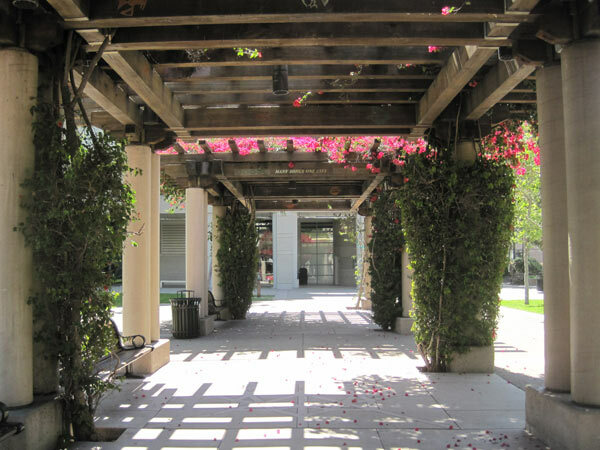 The southern end of the park is a more structured gathering space, with smaller lawn panels and benches set within wide paved terraces. 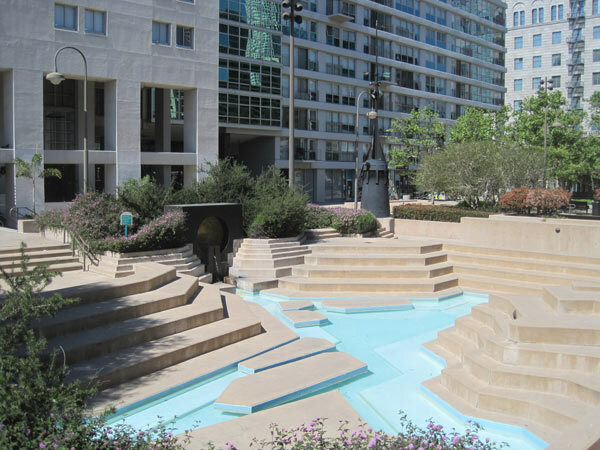 Schematic drawings illustrate that Halprin articulated the locations for art opportunities. 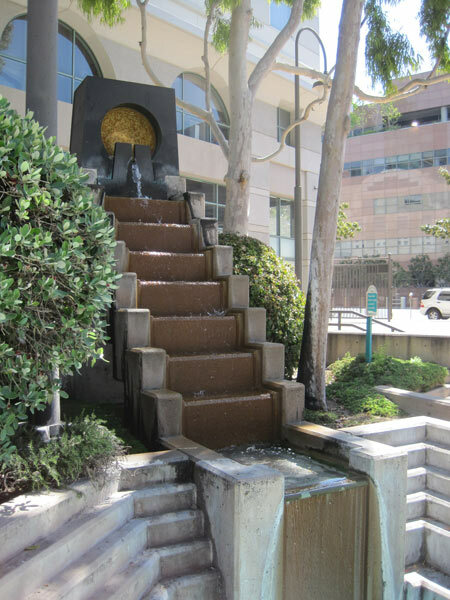 This culminated in installations by Lita Albuquerque (Celestial Source for the sunken water court), Adrian Saxe (wildlife figures), Raul Guerrero (Hope Street Fountain and decorative stenciling on pergolas), Gwynn Murrill (coyotes, hawk, snake), Tony Berlant, and Ralph McIntosh. 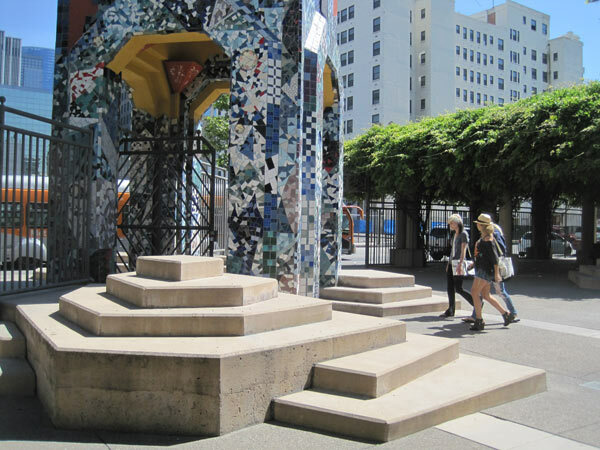 The iconic Clock Tower, adorned with rich mosaics, was designed by Halprin. For this piece the Agency commissioned musical compositions by John Carter, Michael McNabb, and Ushio Torikai to mark each hour of the day.